EA Sports have released the FIFA 19 demo on Thursday to the delight of fans worldwide. A firm release date for the 2019 edition of the game was announced to be on September 28th. The final list of player ratings in this year’s edition of the game was also released a couple of days ago, to the delight and scorn of fans across the globe. The gradual release of rankings starting from the bottom has given way to a number of surprises as some of football’s top players missed out on the top 20 list. Familiar names made their way to the top two rankings as Cristiano Ronaldo and Lionel Messi have, for the first time in history, received the same overall rating on the game. The two five-time Ballon d’Or winners have been given a 94 rating. The two football aces are respectively followed in rankings by Neymar (92), Kevin De Bruyne (91) David de Gea (91), Luka Modric (91), Eden Hazard (91), Luis Suarez (91), Sergio Ramos (91) and Toni Kroos (90). Fans have been outraged by the fact that players like Harry Kane and Mo Salah did not make it to the top ten list despite having had a phenomenal year. With the demo out, fans are now turning their attention to the new modes that have made their way under House Rules. FIFA 19 is set to introduce two new modes under House Rules which requires fans to lose a player for every goal scored (survival mode) or entirely do away with fouls (no-rules mode). In survival mode, teams lose a player when they score a goal. If either team has scored five goals, and consequently loses five players, before 90 minutes, the match ends automatically thereby adhering to the FIFA rule that a game cannot continue with less than seven players on a team. In no-rules mode, players can turn off the referee entirely, making it impossible to get sent off for extreme challenges and also getting rid of the offside rule. There is another option that, when activated, enables only headed or volleyed goals to be counted. Apparently it as a 'no rules' mode, or what it was called back in the day... FOULING FOOTY. No rules football on FIFA 19 looks hilarious! Finally a mode to suit the way I play. fifa 19 is so lit. no rules mode is gonna be my favorite lol. Football authorities are trying hard to bring on new technologies to get fair games of football. 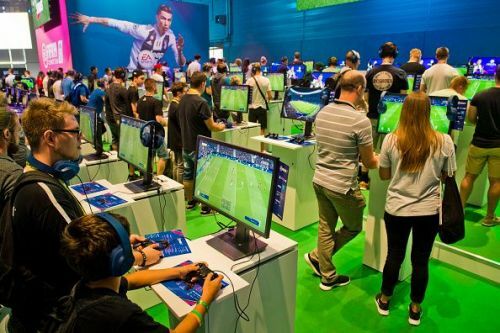 FIFA 19 has been prepared for launch on PlayStation 4, Nintendo Switch, PS3, Xbox One, Windows PC and Xbox 360. Opinion: Should India use FIFA game to improve football at the grass-root level?